Jacob ben David Bonjorn (also known as Jacob Po'el and Jacob ben David ben Yomtob) was one of the leading figures of mathematical astronomy in the 14th century. He was the author of a series of astronomical tables which he calculated for the latitude of Perpignan, starting in the year 1361. These tables, which were widely distributed, were normally accompanied by a number of canons, or texts which indicated how they were to be used, although these did not explain how the tables had been constructed. There are manuscript records that Bonjorn worked at the court of Peter "the Ceremonious", King of Aragon (1319-1387), during whose reign considerable astronomic activity developed thanks to the king's personal encouragement. This interest continued (although in a more astrological vein) after Peter's death, during the reigns of his sons John I "the Hunter" (d.1395) and Martin "the Humane" (d.1410). 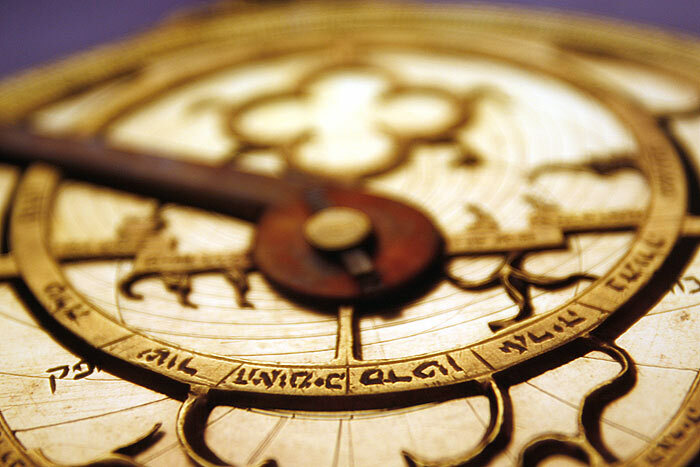 Bonjorn's tables deal with one of the most complex problems of the astronomy of his day: the calculation of the timing of the authentic syzygies, i.e., the points of conjunction and opposition of the Moon and the Sun. The tables give a list of all the syzygies occurring in the period 1361-1391 and also make it possible to learn the positions of all the lunar and solar eclipses over the same period. They are based on a cycle which covers approximately 11,325 days (a little over 31 years) and a different duration of the synodic month from that used by preceding astronomers. In the same way, Bonjorn included a mechanism of calculation that made it possible to extend the use of the tables beyond 1391. All together, the tables fill some 50 hand-written pages full of numbers, while the canons occupy about a dozen pages. Bonjorn's tables are also a good example of the transmission of notions of astronomy in the Middle Ages. Among the few names of authors mentioned in the canons, there are three Jewish sages: Abraham bar Hiyya of Barcelona (1065 - ca. 1136), Maimonides from Cordoba (1135 - 1204) and Levi ben Gerson from Provence (1288 - 1344). The latter is the author of astronomical tables based on his own observations and contained in his work Milhamot Adonai. Levi ben Gerson's tables were to serve as a basis for Bonjorn to enable him to prepare his own tables. Bonjorn's astronomy forms part, then, of the Jewish astronomical tradition of Catalan-Provençal origin. Bonjorn's work, written originally in Hebrew, was widely used in other languages (Catalan, Latin and Greek) and was continued by the work of two authors in the second half of the 15th century. The first was the Salamanca-based Jew Abraham Zacut (1452 - 1515), the most outstanding astronomer in the Iberian peninsula before the expulsion of the Jews in 1492, and author of the Ha-Hibbur ha-gadol; the second, Bernat de Granollachs of Barcelona (fl.1440 - 1487), the author of the Lunari, a best-seller of its time and of which 37 editions in the form of incunabula have been identified. Josep Chabàs gave a very interesting talk about this figure of medieval Catalan science at the Nahmanides Institute for Jewish Studies on 11th November 2009.